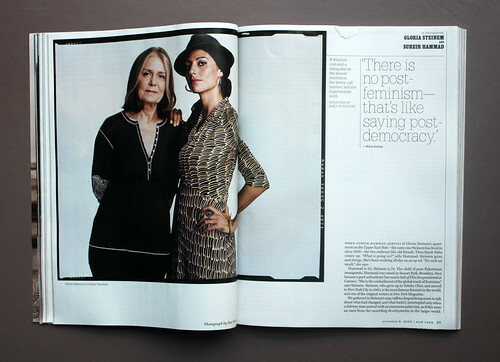 Winters also took this double portrait for a conversation between activist Gloria Steinem (one of the original New York Magazine writers namechecked on the first issue’s coverlines) and poet Suheir Hammad. 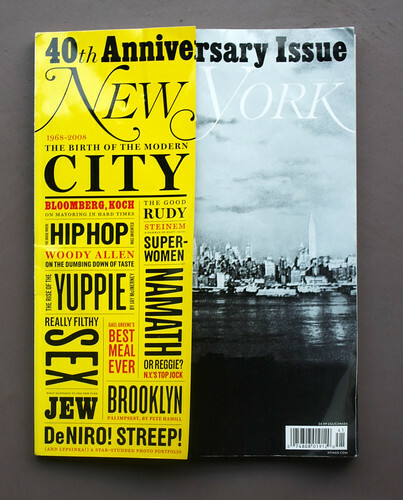 The cover is a nod to the past: a metallic silver version of Jay Meisel’s Manhattan skyscape used for cover of New York Magazine no. 1, published 8 April 1968. ‘The Approval Matrix’ charts the cultural highs and lowpoints of the past 40 years, with smart digs at ‘The souvenirification of Keith Haring’ and Studio 54’s ‘velvet rope’. 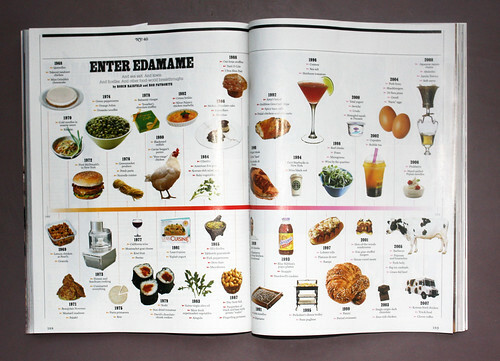 Other info-graphics include four decades of food fads and fashion (below). 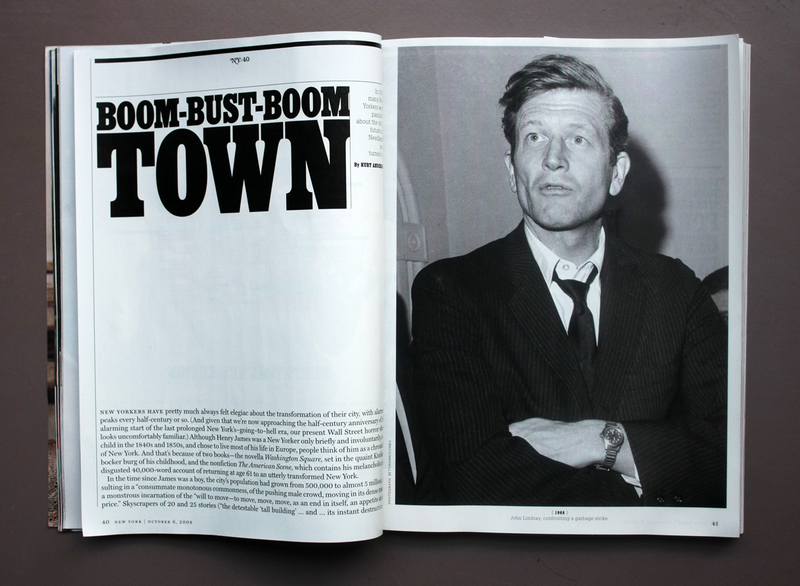 Makes me wish we had a magazine like this for London. But we don’t have Robert De Niro, either. 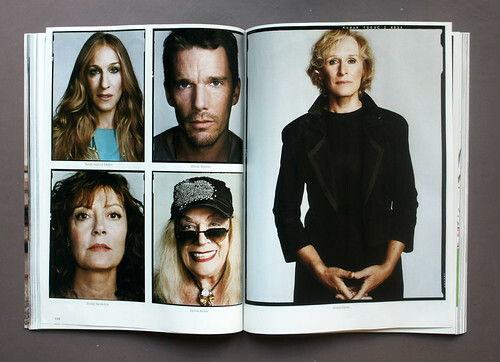 Credits: Design director: Chris Dixon; Photography director: Jody Quon. See also ‘On the slab’, from our type department . . .